commented on "The opening up of the heavens on the centennial date of the opening of the Cawthron Steps, Friday 20 September 2013, couldn't dampen a ..."
The opening up of the heavens on the centennial date of the opening of the Cawthron Steps, Friday 20 September 2013, couldn't dampen a wonderful launch of Meet You At the Church Steps- A Social History of a Nelson Landmark. 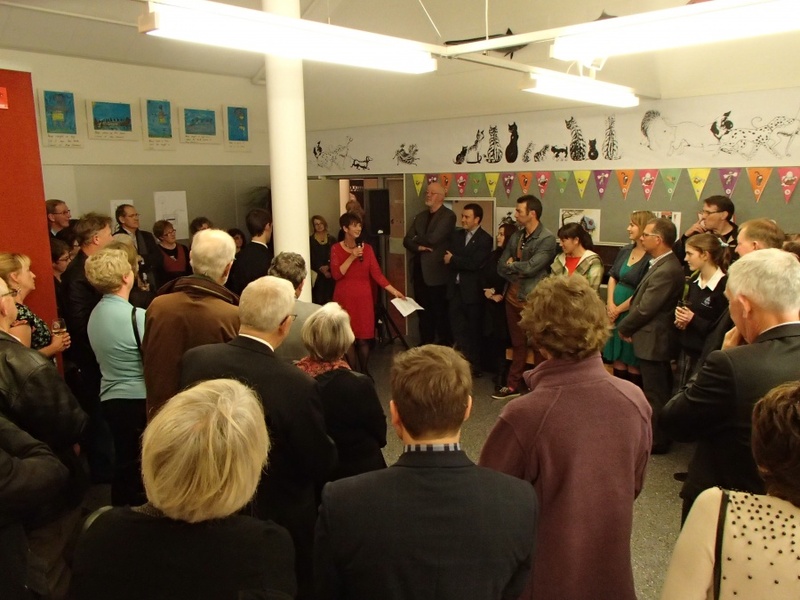 A crowd of heritage enthusiasts and supporters of the book, including Nelson Provincial Museum staff, the Nelson Mail editor and a number of his photographers, members of Tasman Bays Heritage Trust, the Cawthron Institute Trust Board, the Canterbury Community Trust and the City of Nelson Civic Trust, Museum staff, Contexo Graphic Design, members of the Nelson Historical Society, friends and family, gathered at the museum for the launch following the centennial event,which was transferred to the Cathedral. Nelson Provincial Museum chief executive Peter Millward, Nelson Mail editor Paul McIntyre, the Bishop of Nelson, the Rev. Richard Ellena, and the Mayor of Nelson, Aldo Miccio, all spoke about the significance of the steps to the city and church and the role they continued to hold within the community. It was also noted that between them the museum and the newspaper (formerly the Nelson Evening Mail) had ensured key events in the history of the city and the province were not only photographed and written about but also collected, archived and made publicly available. As the book's author I was pleased to be able to thank the many people and organisations who helped with the production of the book. I also picked out several images that hold special significance to me. These included some from the private collections of Nelson postcard collectors Ken Wright and Rob Packer and a number from the World War I period that will be further recognised and used during the upcoming centennial of the Great War. It was a wonderful launch and I'd like to thank everyone who made the time to come along and celebrate our city's history as seen from our most photographed and recognised landmark. Meet You At The Church Steps is available through this website or from Nelson Provincial Museum and Page and Blackmore Booksellers in Nelson.